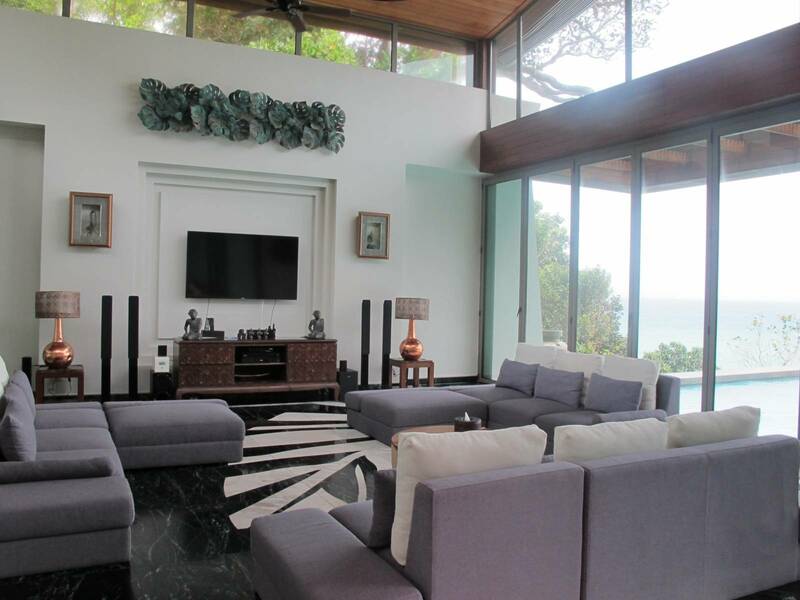 Villa 4341 is one of the most luxurious estates in Phuket, surrounded by crystal-clear turquoise water, and a beautiful, unspoiled tropical environment. Sunshine is softened by gentle ocean breeze, while the nights shine with the lights of a million stars. 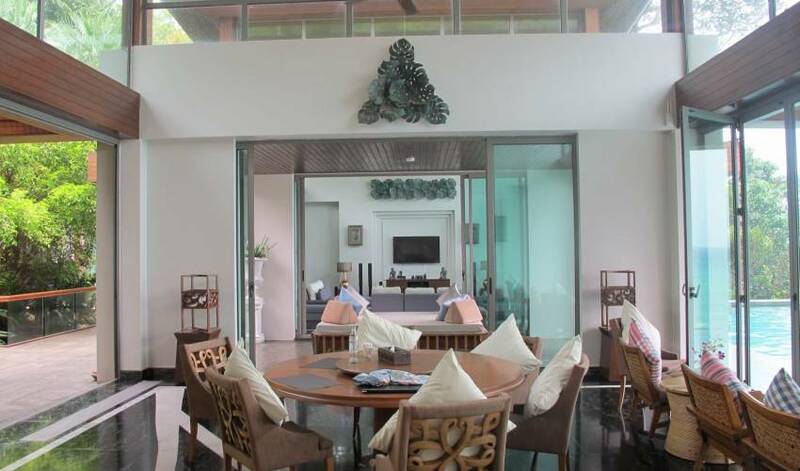 The combination of traditional Asian style and Thai-Buddhist philosophy, natural materials and custom made interior with modern lines and elements makes from the Estate a unique Mansion. The Villa takes full advantage of its outstanding position. The layout has been carefully considered to benefit from 180Â° sea view and provide a spacious bedrooms accommodation with open and private outdoor areas, twenty-three meter swimming pool and Jacuzzi. The location provides the ultimate backdrop of impressive sunsets softening into the Indian Ocean. 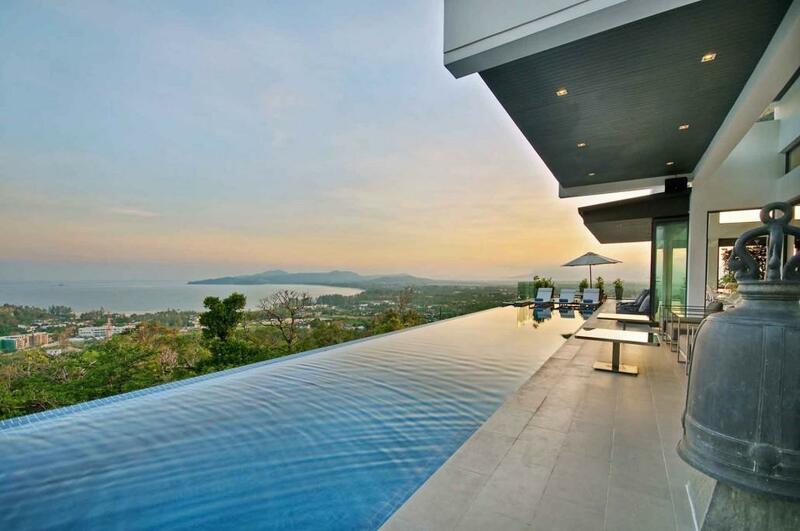 It guarantees an ultimate tropical exclusive living. By using the natural elements of the land as architecture, the villa has been carefully designed to promote the spirit of ecological responsibility with minimal impact on the environment. 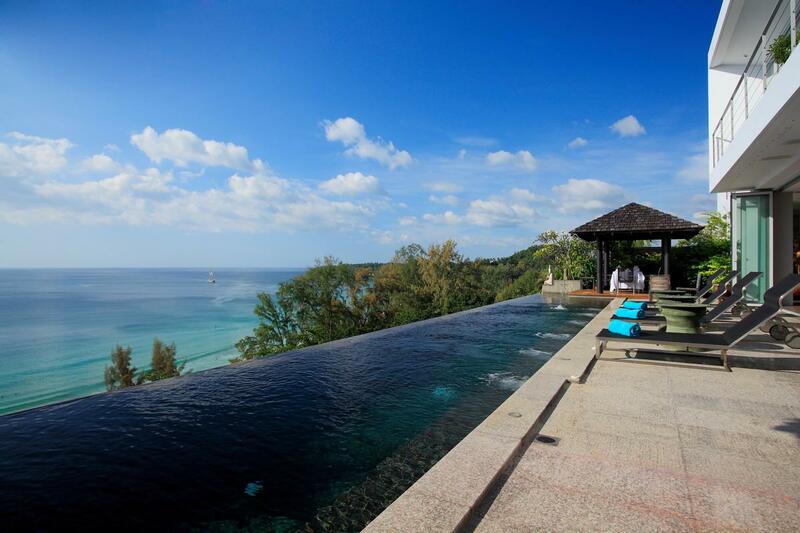 The luxurious villa is blessed with one of the most spectacular coastline views in Phuket. 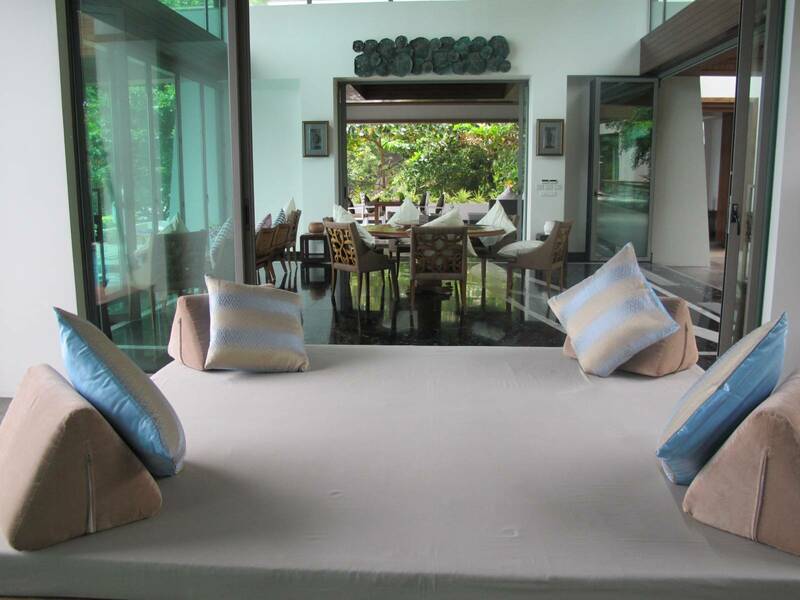 The villa blends its exceptional location with outstanding facilities, service and privacy. Embracing the trend of "Destination" villas, the property has been designed to contain as many features and amenities as possible, complemented by top levels of service, intended to ensure that guests feel no need to go out for top quality dining and entertainment. There are a total of 10 bedrooms at this magnificent estate. 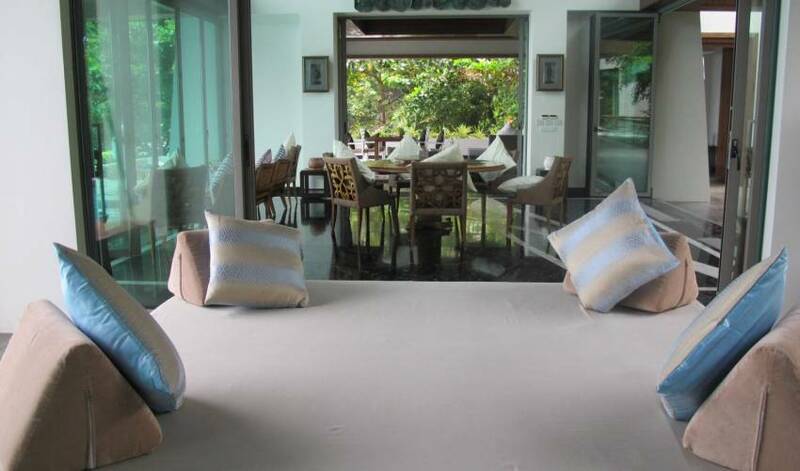 The main floor boasts a total of 8 bedrooms with varied themes of ocean and garden view rooms. 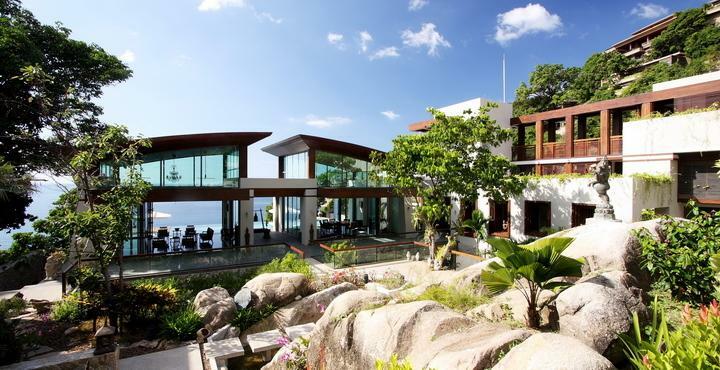 The recent addition of two exclusive waterfront suites make up the full 10 bedrooms. The waterfront suites are truly unique and are the dream realisation from the owner over many years of planning. Located near Kamala. 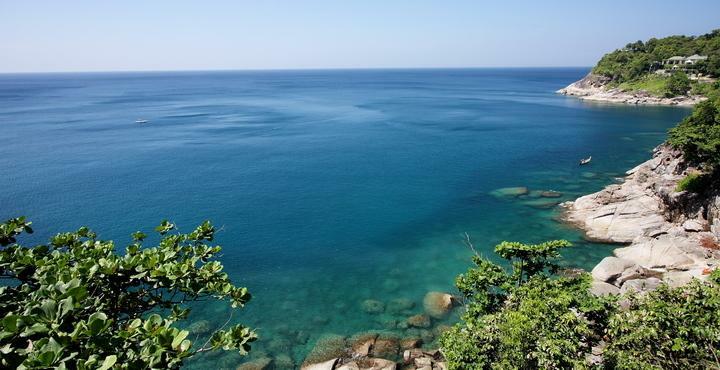 This seafront area is uniquely Thai, with volcanic rocks and fishing village. 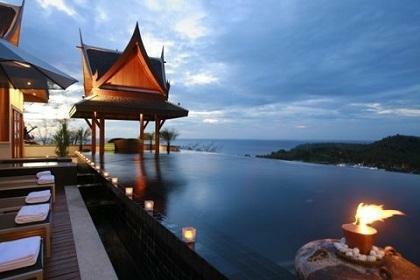 The villas enjoy panoramic views over the sea and it offers relaxing calm away from the busy Patong area. 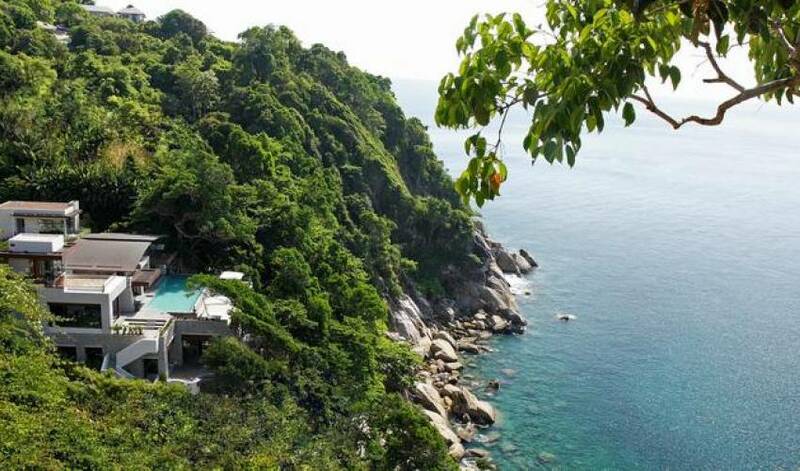 The location is twenty minutes drive from Patong and Kamala is only five minutes away. 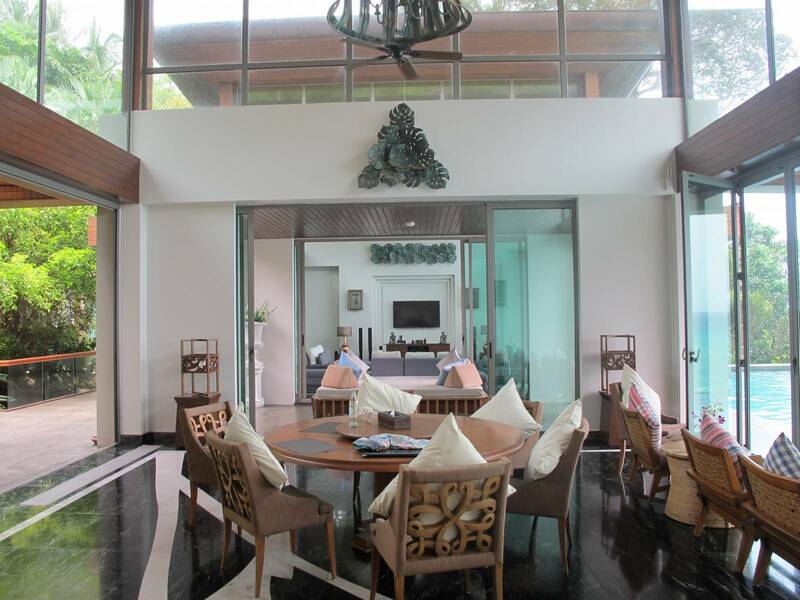 It is just thirty-five minutes from the airport, forty minutes from Central Shopping Center and only twenty minutes from Baniaan tree Golf course. Villa 4341 is both a trend setter and a delicious treat for those looking for something different. Would repeat in a heartbeat! 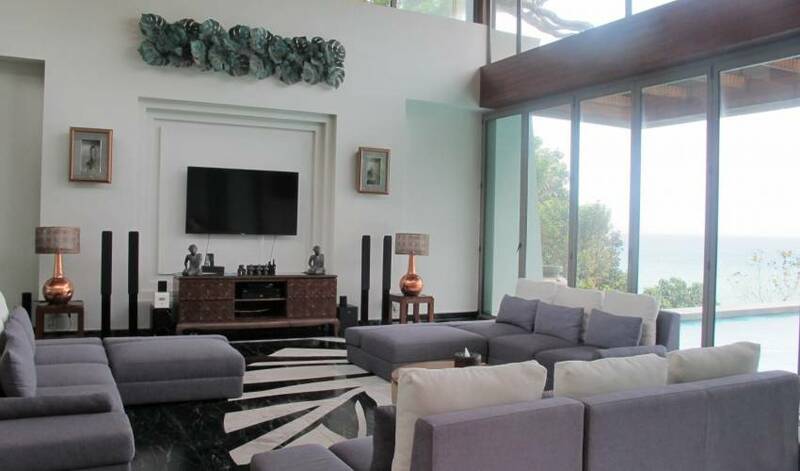 Villa 4341 is an expansive 8 bedroom property built on 4 levels. But no worries there is an elevator which takes you to the top 3 levels. The bottom level has 2 spectacular bedrooms, one below the other, which can only be described as the “Tony Starck bedrooms” in the movie Iron Man. 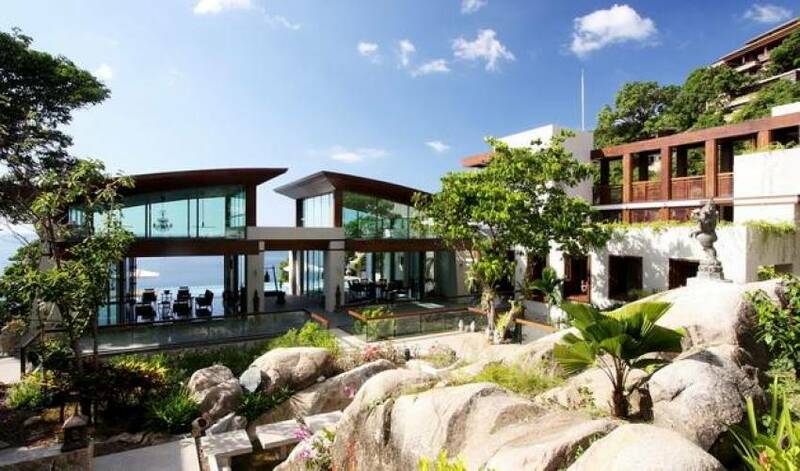 They are glass enclosed and jut out over the aquamarine Andaman Sea. 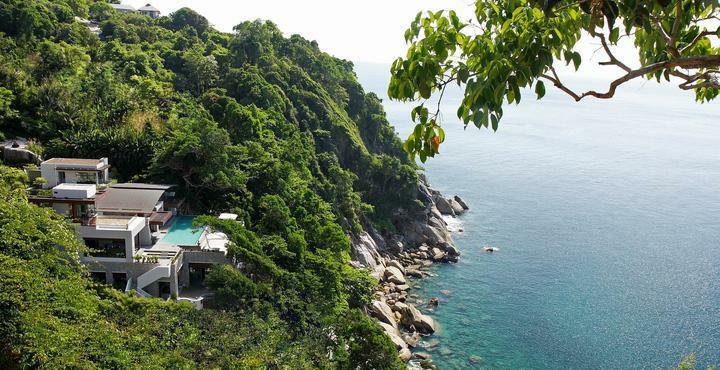 The green water splashes on the rocks below you - The view is nothing short of overwhelming! The bedrooms and bathrooms are superbly appointed and very luxurious. 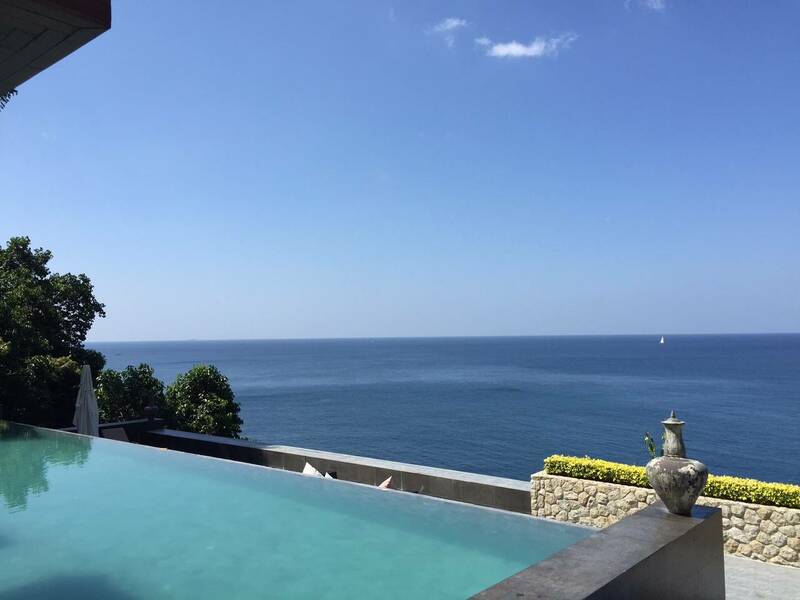 The infinity pool looks upon the ocean and is large enough for a crew of 14-16. 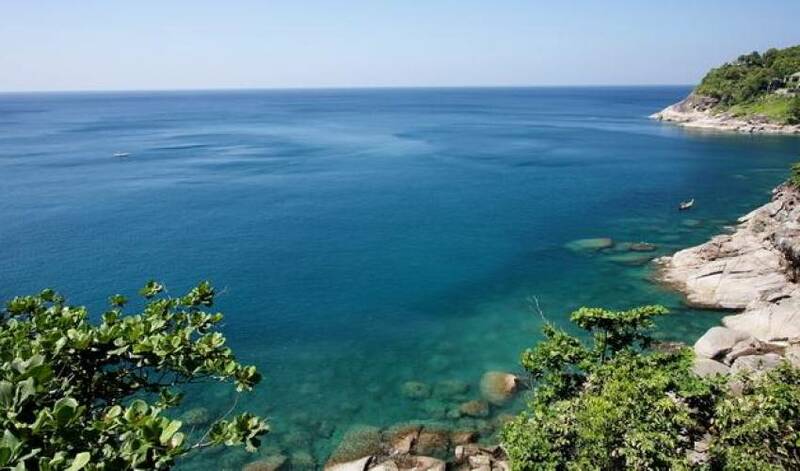 The Villa is perfect for a crew of 14-16 persons. The value for money is unbeatable. The Villa is managed like a CEO would manage a medium size corporate. In this case, the “CEO” is Mr Q. This deceptively diminutive gentleman is super efficient and runs a tight ship with 4-5 staff, one of whom is quite the Thai Chef. The food was high calibre as was the service - True Blue Thai Hospitality! The staff drives you around if you so wish - 1 SUV and 1 Minivan. The cost is lower than using the exorbitant cabs in Phuket and very convenient when one wants to go golfing or go bingeing at night on Bangla Road. The staff picks you up at your drunken hour. Very convenient. 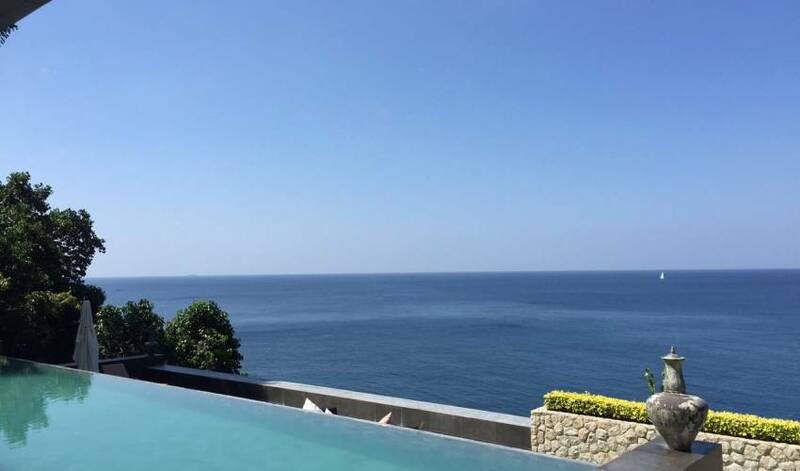 The location, Kamala Beach, also known as The Millionaires Mile, is well known for its fancy digs and Villa 4341 fits right in - the view, the tastefully done interiors, the sweet staff led by the CEO, Mr Q, and the food quality. This luxurious sprawl works! Would repeat in a heartbeat! We are back from one our best retreats. The arrangements were great, as was the villa. Narek and her team took every step required to ensure we were comfortable throughout our stay.